I'm a minimalist at heart, but I love to have variety in my wardrobe when I travel. Part of any girl's wardrobe is having the right bag for every occasion. I have three bags that I take on every trip. These travel essentials can be placed one inside the other like Russian dolls to help you minimize what you have to carry. These must-haves will give you variety without the bulk. This wristlet by Fossil is perfect for your essentials. Use this for your ID, passport, some cash, and lip gloss (that's an essential right?). 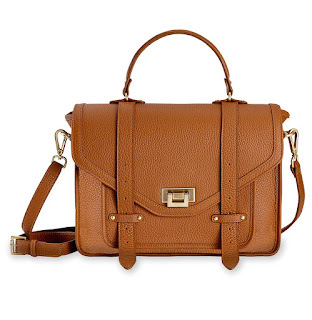 Choose a satchel with adjustable, removable straps. It can be a crossbody, shoulder bag, or handbag. Place your wristlet right inside, then add a book, ipad, or journal for entertainment on the plane. This backpack is perfectly designed to carry all of your technology. It has compartments for your laptop, iPad, and phone. You can pack it full of your favorite gear or leave a little room for your satchel, toiletries, and a change of clothes; making it the perfect carry-on bag.